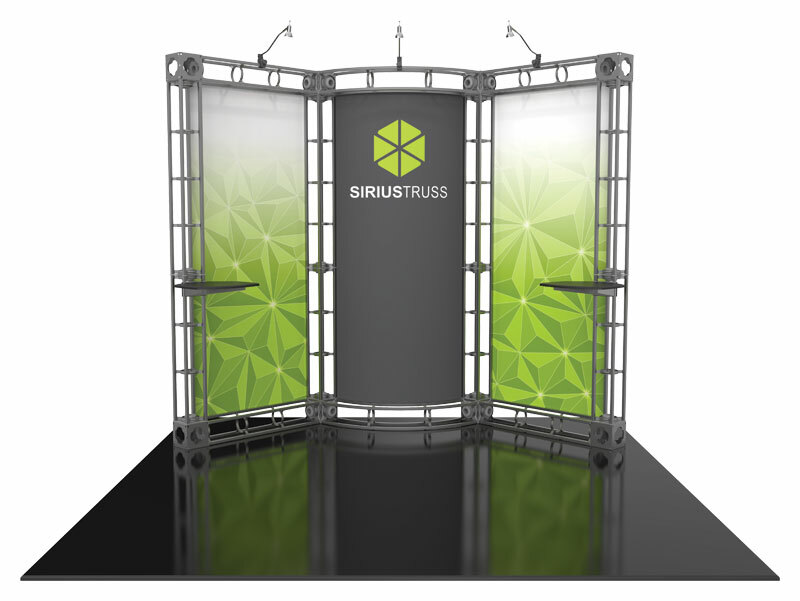 The Sirius kit creates a truss exhibit designed to fit a 10′ × 10′ space. It features two 37.75″ × 83.75″ graphics, one 39.5″ × 83.75″ graphic, two adjustable tabletops, and three 50 Watt spotlights. 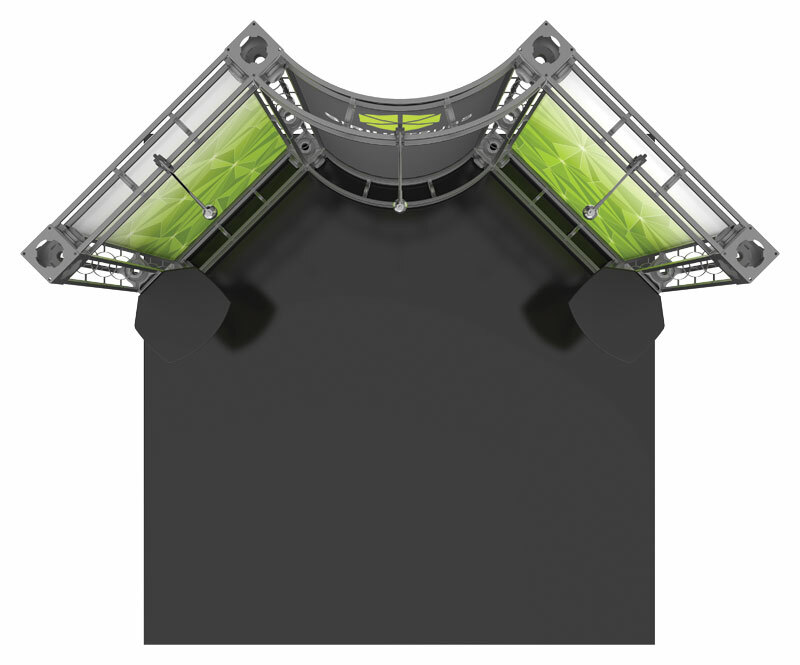 The Orbital Express™ truss exhibit system has limitless custom options for appearance and functionality. No tools are required for assembly due to its simple twist and lock design. Orbital Express™ offers over 40 ‘off the shelf’ kits with a range of accessories and customization options. Options requiring an additional charge can be ordered by phone. Inkjet printed rollable panels instead of dye-sub print fabric graphics (call for quote). 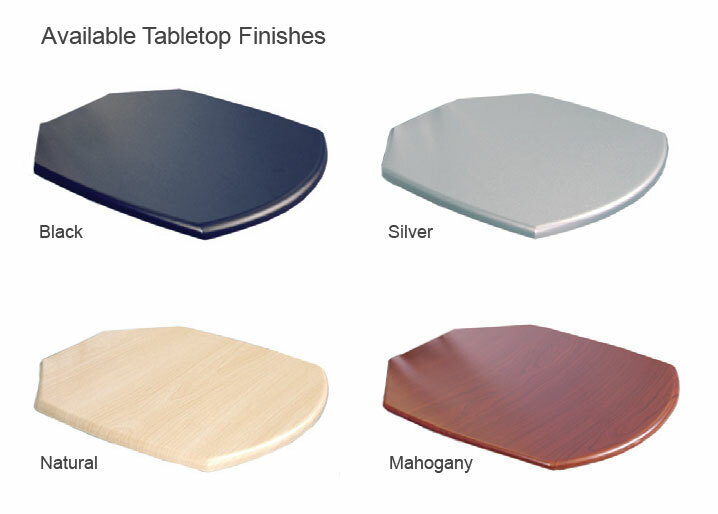 Add-on tabletops, shelving, literature racks, and monitor mounts. 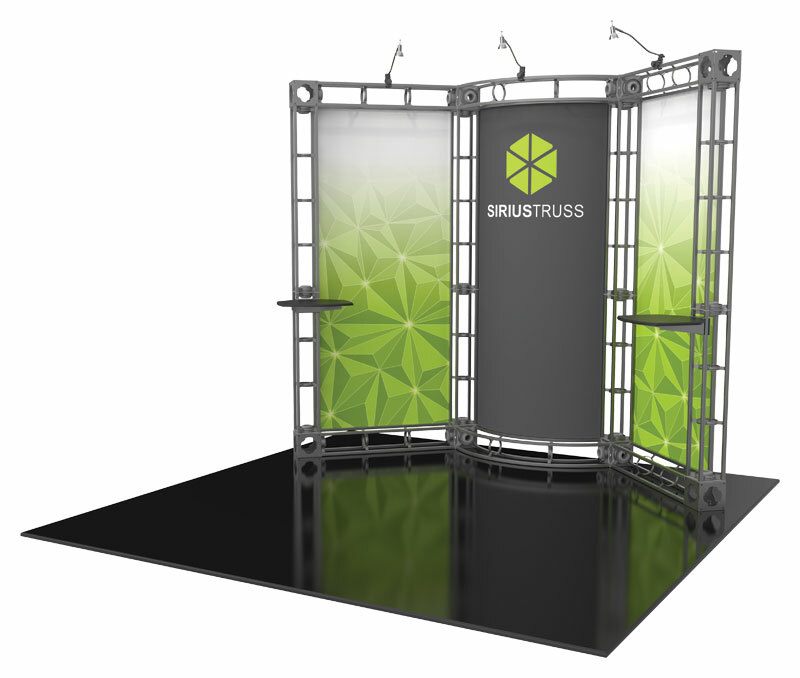 Truss kiosks, counters, and podiums to complement and complete your exhibit. 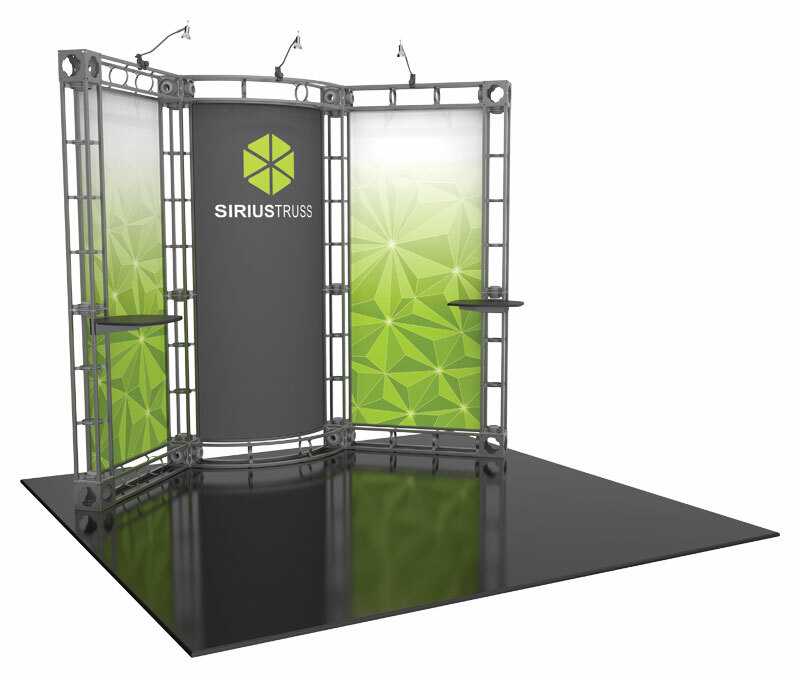 Kits can also easily be reconfigured into larger or smaller exhibits, depending on your tradeshow needs. 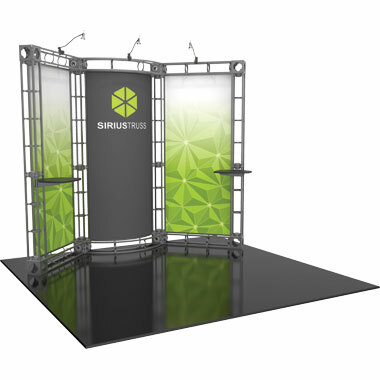 Contact us with any questions about creating the perfect set up for your next show. 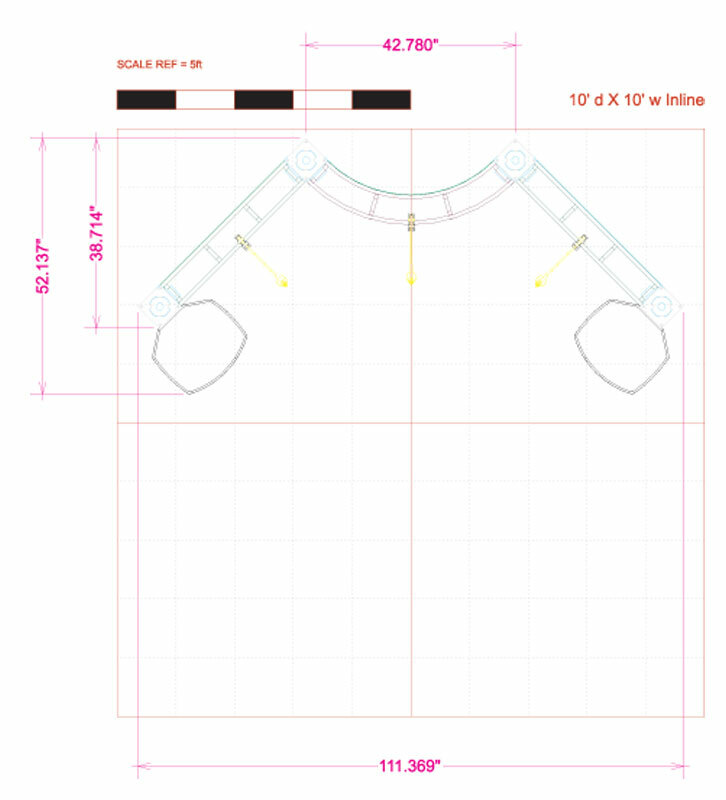 The flat shipping rate for this item is $392	USD for standard delivery within the continental United States. Alternative shipping methods and International shipments are available. Deliveries to Canada are subject to applicable taxes and duties.